Use the size of beads indicated in my patterns’ instructions if it is your first experiment : you will realize adaptations with other sizes later. This way, you will not take the risk to be disappointed or to think : why does not my lace come out like hers ? You will hate me much less.. for you will not get nervous. Use quilting thread : it is a thread used in patchwork. It must be 100% cotton (no polyester). If you do not find quilting thread, you may use « gloves’ thread ». 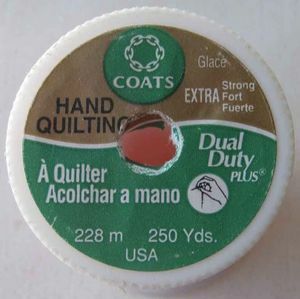 The best thread that I recommend is of the brand : COATS Dual Duty. Do not tighten your thread. This would only press the beads. Pass your thread back into the loops again as I indicate. 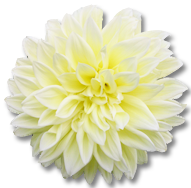 This will rigidify your motif and il will gain better posture. Weave your motifs individually : if you make a mistake, you will not have to start again and you will be able to search the mean to link them together more easily. Once you beaded one loop, « crumple » it between your fingers as you would do it with a piece of paper. The beads will get better posture along the loop. Then, pass your thread back into the loop. I do recommend you to buy a sheet of rubber cardboard, 10 mm thickness. It costs about 5 euros and you will keep it several years. Once you beaded all your motifs, you will pin the central motif and then, the others along the necklace round that you will have beforehand drawn with a pencil on the sheet. This way, the rounded form will be perfect. Look out for the contact points of your motifs to join them, even if it means that you may need to add some seed beads. Do not hesitate to contact me through this blog (« contactez l’auteur ») if you have some difficulties : I do not bite (at least, not yet) and I always answer. Take heart ! Lace is capricious. You have to learn how to tame it.